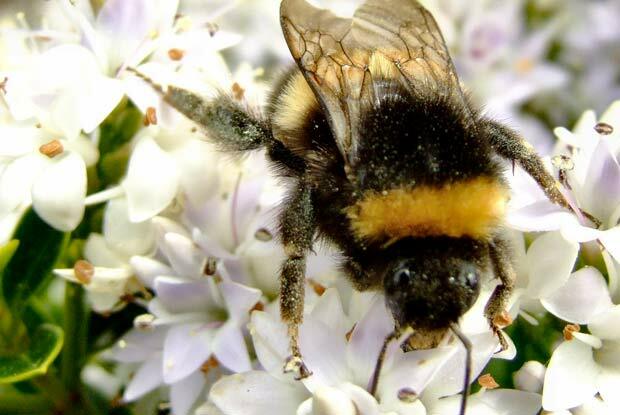 Bumble bees are beneficial insects because they pollinate crops and plants. The occupant of a disturbed bumble bee nest will buzz in a loud volume. They defend their nests aggressively. Bumble bees often nest in the ground, but can be found above ground around patio areas or decks. They will sometimes build their nests in soffits of attics.